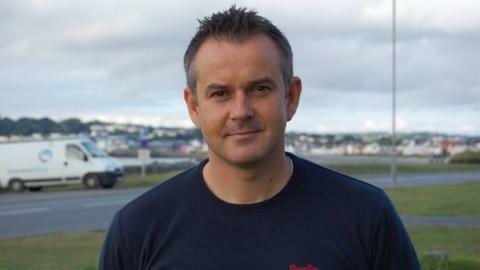 Andy Cornford has stepped down as the coach of Guernsey's cricket team after five years in charge. Cornford is quitting the role as he feels he does not have the time needed to dedicate to it. "The team requires a new, improved environment to prepare and develop the team and to work more closely with our younger players," he said. "This will obviously take a lot more contact time, which is something I'm currently not able to give." Under Cornford's leadership, Guernsey have become an international cricketing nation, gaining associate member status of the ICC. He led Guernsey as they were promoted from World Cricket League Division Seven to Division Five. "It has been my utmost privilege to work as national coach of the Guernsey cricket team, but after much consideration, reluctantly, I will be stepping down from this position," he said. The chief executive of the Guernsey Cricket Board, Mark Latter, was quick to praise the work Cornford had done to improve the game in the island. "We have been privileged to have had the chance to work with Andy, and all in Guernsey Cricket are better for the experience," he said. "Andy will leave a huge legacy and his replacement will have some big shoes to fill. "It is important that Guernsey Cricket now builds upon what Andy has started, and sets and meets standards that are ever challenging. "The search for a successor will start immediately, and is likely to be the most important decision we will make when choosing the right person." Guernsey's Cricket Board will advertise for a director of cricket for the island, with the role encompassing the national team manager's job. "Given the profile of Guernsey cricket now on a world stage we expect applications to come from far and wide and to include several interesting and well known names," Latter said. "The key will be to ensure we get the right person and not just the biggest name necessarily."